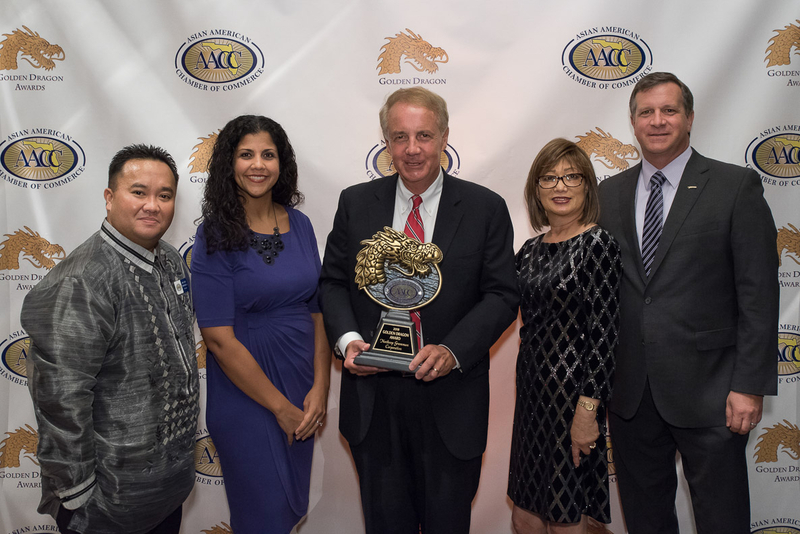 The Asian American Chamber of Commerce of Central Florida awarded the prestigious 2018 Golden Dragon Award, the highest honor of the year, to Northrop Grumman Corporation, selecting the aerospace and defense giant for its outstanding service, leadership and commitment to community. The Asian American Chamber of Commerce’s Ninth Annual Golden Dragon Awards, hosted by title sponsor Walt Disney Parks & Resorts, honored recipients in four other categories: Rising Star Award to real estate professional Paul Jimenez; Golden Hands Award to Kay Rawlins of Orlando City Soccer and the club’s foundation; Diversity Champion to Jerry Ross and the National Entrepreneur Center; and Asian Entrepreneur of the Year to Suresh Gupta of Park Square Homes. ​Presented annually by the Asian American Chamber of Commerce of Central Florida, the awards recognize outstanding leadership, initiative, contributions and positive impacts to our Central Florida community. The Golden Dragon Award – the Chamber’s highest honor - recognizes an individual, entrepreneur, small or large business which has made the most significant positive impact in Central Florida, improving the quality of life for the many. The Chamber’s other awards: Asian Entrepreneur of the Year, Diversity Champion, Golden Hands and Rising Star. 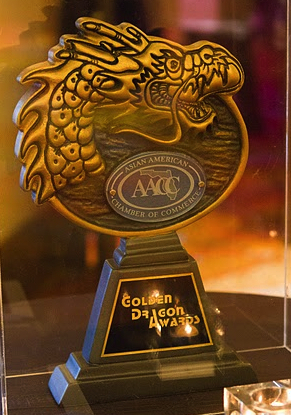 The Asian American Chamber of Commerce of Central Florida chose the Golden Dragon for its symbolism as a benevolent force; for its qualities of strength, wisdom and wealth; and for its appeal to the imaginations and hopes of our members.